Despite Nugent’s reputation, Abbott hit several campaign events with him in tow this week. 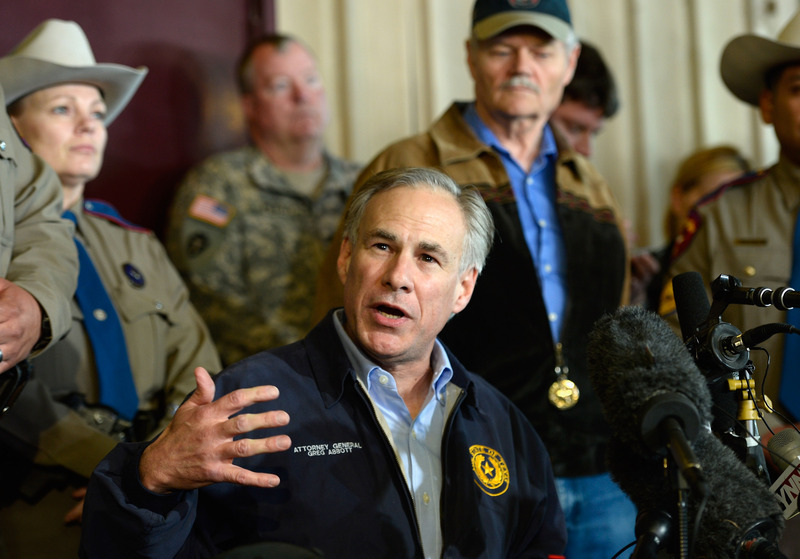 Backlash is imminent, but Abbott is defending his decision by citing Nugent’s commitment to second amendment rights. "Ted Nugent is a forceful advocate for individual liberty and constitutional rights — especially the 2nd Amendment rights cherished by Texans," said Michael Hirsch, Abbott’s campaign spokesman. "While he may sometimes say things or use language that Greg Abbott would not endorse or agree with, we appreciate the support of everyone who supports protecting our Constitution." Greg Abbott faces a tough battle for the governor’s office, and aligning with Ted Nugent won’t help him. Here are five reasons why. There is no shortage of Tea Party Republicans in the nation’s second most-populous state, but Abbott will need a mixture of votes from independents to win the gubernatorial race. Outside of extremely-conservative circles, Nugent is a nuisance. Current Texas governor Rick Perry urged Nugent to apologize to Obama for referring to him as a mongrel, while former Republican presidential candidate Mitt Romney distanced himself from Nugent during his campaign. Greg Abbott’s association with Nugent will only attract extreme conservatives, but it won’t tap into the base he needs to win. Greg Abbott’s excuse for partnering with Nugent will have no room to breathe in the election. Abbott’s opponent, Wendy Davis, supports open-carry laws. Davis has also voted in support of adding armed marshals in schools. She has no intention of creeping in on second amendment rights in Texas, so Nugent’s commitment to gun owners makes little difference. There is a slim percentage of the population that still believes President Obama is illegitimate. He’s a U.S. citizen who was re-elected by a significant margin. Attacking the president will surely not attract the 4.2 million eligible Latino and Latina voters in Texas — or its 2 million eligible black voters. Ted Nugent harms Republican outreach efforts, and will surely impact the perception of Abbott in communities of color. The female voting block matters in Texas. The New York Times reports that women comprised 53 percent of Texas voters in 2012 and that 47 percent voted democratic. Greg Abbott will need to snag a higher percentage of women to win the election, and that may be difficult with Nugent as a surrogate. After claiming former Secretary of State Hillary Clinton has “spare scrotums” and calling her a “two-bit whore for Fidel Castro,” it’s clear Nugent will repel a significant block of female voters. Media Matters compiled 10 of Nugent’s most misogynistic attacks and it’s nothing short of repulsive. In a state where Davis’ historic filibuster turned her into a national star, Abbott’s team is dedicated to repealing the narrative that Republicans are waging a war against women. Campaigning with Nugent won’t help his team accomplish this task. In a 1998 Behind the Music special, Ted Nugent said: "I was addicted to girls. It was hopeless. It was beautiful. I got the stamp of approval of their parents. I guess they figured better Ted Nugent than some drug-infested punk in high school." Not appropriate.